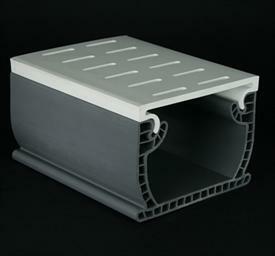 The Hayward SP1019 is our standard "Go To" drain for decks, gutter troughs and other areas you require a drain fitting. These fittings have a 2" socket for plumbing and a internal 2" FIP for the use with a plug, The top gate is removable and is secured with 2 flat phillips head screws. The grate measures 4" x 2.47". This drain is made by SR Smith and is a Crome-plated cast bronze construction. 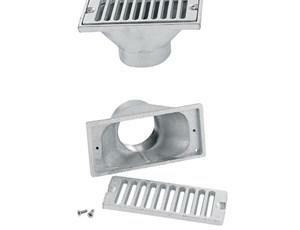 The drain is 2 11/16" x 5 5/8" in size and has a 2" drain opening. 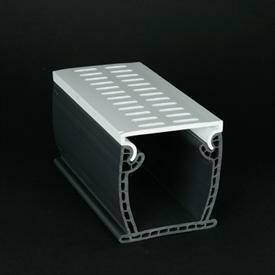 Drains includes drain, grate, and two tamper-resistant screws. These are similar to the above Haywad drains just in a cast bronze instead of a plastic. This is a strip drain that comes in 8' lengths. You can connect multiple units together to create a custome length. 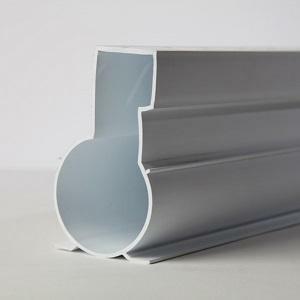 The Drain-A-Way is one peice construction with the ease to connect to 1 1/2" PVC pipe to the units. Custom order pieces include 90 degree corners, 45 degree corner, end cap, adapter fitting, and connectors. 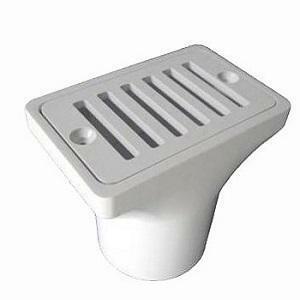 This Deck Drain is a removable top drain that features a double wall base and a snap in top. When installing this drain the tops are staggered past the joints making the joints very rigid. Because the Flowmaster Deck Drain tops are removable this drain is easy to clean and the tops can be replaced if ever damaged. Available in White, Grey, and Tan. Kits include 4 Bases (10′ Lengths),4 Top Caps (10′ Lengths), and 4 Couplers. Flowmaster 3 Commercial is a 3” removable top drain that features a double wall base and a snap in top (PVC). When installing this drain the tops are staggered past the joints making the joints very rigid. Because the Flowmaster 3 Commercial Deck Drain tops are removable this drain is easy to clean and the tops can be replaced if necessary. Flowmaster 3 Commercial Deck Drain is used on many commercial swimming pools, patios and other areas where large amounts of water need to be removed.Available in White, Grey, and Tan. Kits include 4 Bases (10′ Lengths),4 Top Caps (10′ Lengths), and 4 Couplers.